Regardless of whether a company is staffed by only ten people or 1,000, recruitment can be a complicated, yet necessary process. The right software can make life a lot easier for those scouting for talent. This list highlights ten of the top recruiting software HR professionals can utilize to strengthen the talent of their companies. The software on this list is ranked with the help of business technology review resource, TrustRadius, a website that includes unbiased and detailed reviews to serve both buyers and vendors. Each product included here is listed in order of their location on the Recruiting TrustMap, a two-dimensional chart that compares products and services based on end-user satisfaction ratings and research frequency by prospective buyers. JobDiva provides end-to-end recruitment solutions for staffing agencies and recruiting departments and is ideal for mid-sized to large enterprise companies who need end-to-end support. 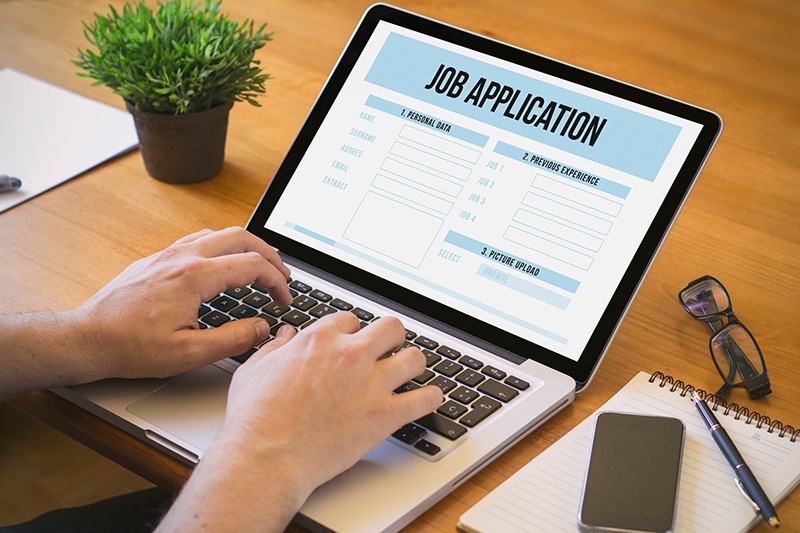 The program can automatically look through resumes to select candidates that are the best fit for the job and allows recruiters to search by filters and keywords. Some have noted the tendency for the program to slow up because of its location on the cloud, but overall many are satisfied with the features this software offers. Reviewers of JobDiva on TrustRadius commonly cited the product’s strong search (Boolean string) capabilities and the extensive and responsive database as common pros. Overall, the product scored an 8.6 out of 10 on TrustRadius. JazzHR keeps the workflow going by enabling recruiters to assign tasks to various HR team members, track the latest activities of potential candidates, and construct workflows for staff to stay organized in creating HR workflows. JazzHR reduces redundant tasks and encourages the automation of email messaging for companies of all sizes. Creating an e-template can be tedious, but staff members who want to create a streamlined applicant tracking system will enjoy JazzHR. The product is ideal for small to mid-sized businesses and can grow with business as they scale. With a total TrustRadius score of 8.3 out of 10, TrustRadius reviewers of JazzHR had great things to say about the ability to create questionnaires for interviews, and how quickly recruiters could send out positions to multiple job board through the system. Need a system to integrate with various common software types? Greenhouse specializes in enabling recruiters to have the opportunity to connect to social networking sites like LinkedIn, or email clients like Outlook or Gmail to post positions or send correspondence. The system even allows recruiters to A/B test various job postings. A typical group to utilize this system includes mid-sized businesses. With a score of 8.0 out of 10 on TrustRadius, Greenhouse reviewers praise the product’s clean user interface and easy navigation. For HR professionals who want a system that tracks the HR lifecycle of employees from recruitment to retirement will see Oracle as the best option. Recruiters can recruit, screen, and generate offers through the system’s interface. Users cannot easily integrate data from other programs, but if recruiters use Oracle for all their other HR needs, then this complaint will not be a problem. The product is ideal for larger enterprises looking for more HR system customization. With a score of 7.7 out of 10, Oracle HCM Cloud reviewers are enamored with the ease of importing and exporting data, and the system’s easy-to-navigate interface and candidate profile set-up. SmartRecruiters lets recruiters strategically and intelligently market their positions internally and externally while housing all candidates in a smartly designed CRM system. This system is meant for small or mid-sized companies who do not have a large HR staff to manage the moving parts of the recruitment process. SmartRecruiters reviewers felt the system allowed users to seamlessly collaborate across various departments, and quickly post positions to multiple job boards to attract a lot of applicants over a small amount of time. This system was rated 7.7 out of 10 on TrustRadius. LinkedIn has realized its role to play in talent acquisition and created a recruitment software for customers. Recruiters can create pipelines of talent, find users that are actively and passively looking for jobs, and build a strong brand that will increase candidate interest. Companies of all types and sizes can utilize these programs. Businesses large and small have used LinkedIn to recruit talent. LinkedIn Talent reviewers liked that fact that users can set up current or future projects and add potential candidates to each one to reach out to in the present or future. In addition to this feature, reviewers found the search feature of the LinkedIn Talent program more than useful for getting the candidates they wanted. LinkedIn Talent received a 7.7 out of 10 score on TrustRadius. JobVite markets itself as a comprehensive applicant tracking system. It has on-demand video screening, the ability for recruiters to easily recruit across social networks, integration with other popular HR systems, and career sites optimized for mobile viewing. Users have had issues with capturing all data needed for reports, but the consensus seems to be that those who need a solid candidate-centric system will be satisfied. This system will help mid to larger-sized companies as JobVite partners with organizations like LinkedIn, Zappos, and Blizzard Entertainment. With a TrustRadius score of 7.1 out of 10, JobVite reviewers like the ability to easily submit referrals, and share postings across multiple social networks. PeopleFluent recruiting allows HR managers of larger enterprises to review candidates, provide feedback, and use video questionnaires for screening. Recruiters can also vary their career pages by geographic location or specific talent communities. Users have had issues with uploading documents of various file types. Those willing to overcome these hiccups could experience a reliable system. Larger companies who have the time and resources to drill down into metrics and analytics can get excellent use out of PeopleFluent. PeopleFluent users enjoy the ease of use, effective customer support, and the ability to find applicants who may have applied years ago. Reviewers gave the software a score of 7.5 out of 10 on TrustRadius. iCIMS is all about getting jobs out to as many people as possible, so recruiters have more options in their hiring process. Recruiters can publish positions to 300+ social networks, automatically post jobs to employee social media profiles to increase referrals, and post positions to thousands of job boards. This is an extensive system, so some users have challenges getting used to various feature, but it seems many were satisfied over time. This system appears to be appropriate for many business types. Mid-sized to larger-sized companies who need the capability of customization and in-depth HR reporting will benefit from this system. With a TrustRadius score of 7.3 out of 10, iCIMS reviews discussed how effective the system is at helping recruiters fill out their talent pool by allowing them to easily follow up with past applicants, and share jobs via social media using the “advertise” feature. The primary audience for PCRecruiter is recruiting organizations and staff agencies. Users can search through resumes using keywords. Recruiters can monitor candidates as they move through the interview and recruitment process, and receive emails through the PCRecruiter portal. Some administrative and workflow functions are trying to do without intensive customization. PCRecruiter is most likely for small to mid-sized companies seeking the basics in talent recruitment. PCRecruiter Reviewers on TrustRadius enjoyed the bulk email feature and the fact that all candidate activities are kept in one place so staff across multiple departments can collaborate effectively. The program finished with a 7.3 out of 10 score on TrustRadius. There are a lot of recruitment tools available for HR professionals, so it should be possible to find a mix of price, quality, and innovation to find the resource that works for them. It is our hope this list includes a viable tool for recruiters to find the best talent possible. About the author: Chanell Alexander currently resides in Atlanta, GA. When she’s not traveling and trying new restaurants in the Metro Atlanta area, she writes about the latest technology and tools for TrustRadius.